Like most range topping cars of the last six decades, homologation specials seem to have created some of the finest cars of all time. 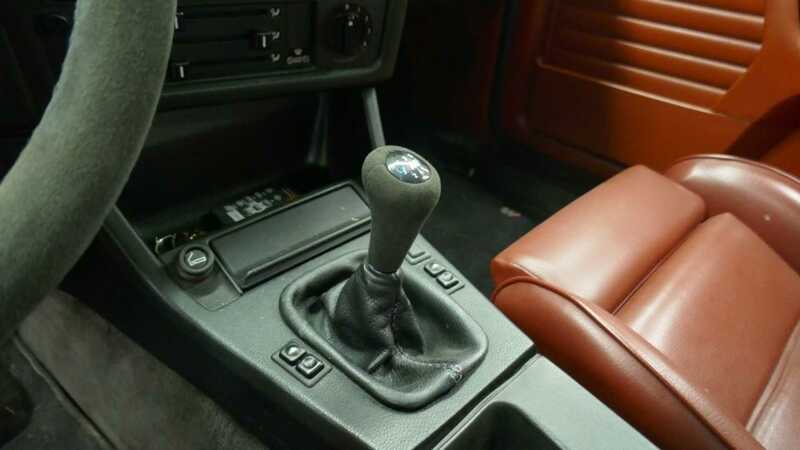 UR Quattro, Lancia Stratos, Subaru Impreza 22B, Mercedes CLK GTR, these are just some of the hair raising classics that were born from racing programs. 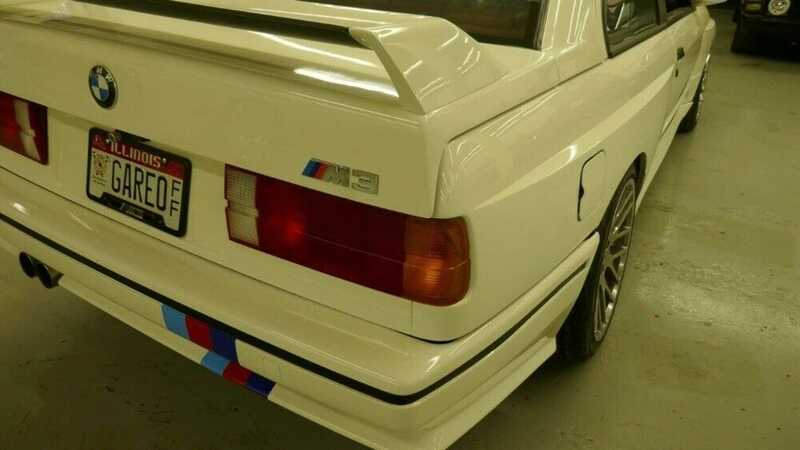 Taking engineering to the absolute limits, and turning a road ready production car into a race inspired tool for the streets is just awesome, frankly, and this E30 M3 certainly ticks the boxes. 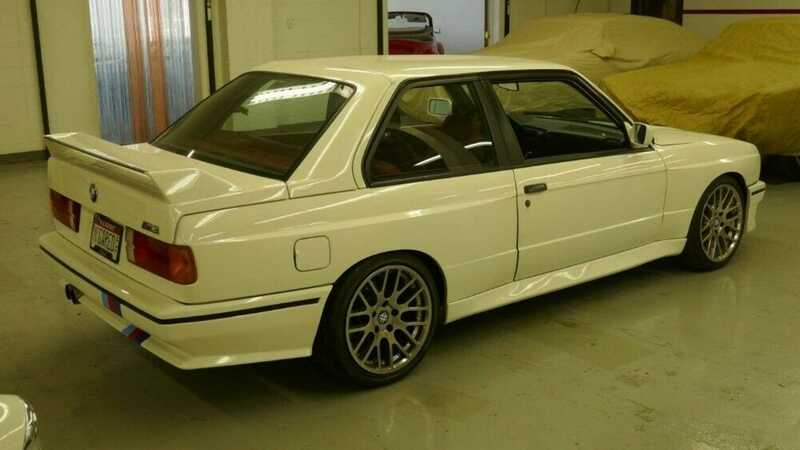 Back in the 1980’s, Mercedes was absolutely dominating the DTM race series, they got their 190E and let Cosworth have a tinker and the results were scintillating. BMW being the arch rivals we know and love them as had to do something about it. 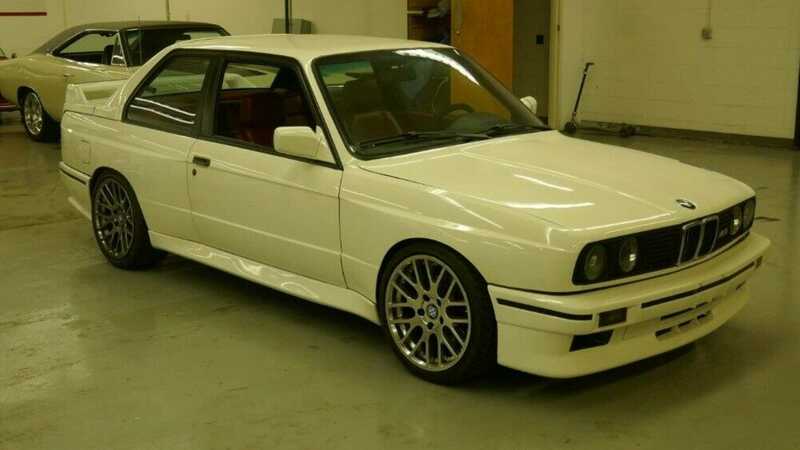 With their E30 3 series platform they realized if they wanted to compete when the rules were simple. Homologate a car and make 5000 of them. Bosses at Munich were pretty unsure about the potential successes of it, and almost accepted they probably wouldn’t sell whatever they came up with, but regardless in a moment of particularly ungermanic intent gave the green light to the project. Considering this is the company to name their motorsport division ‘M’, this was rather surprising. 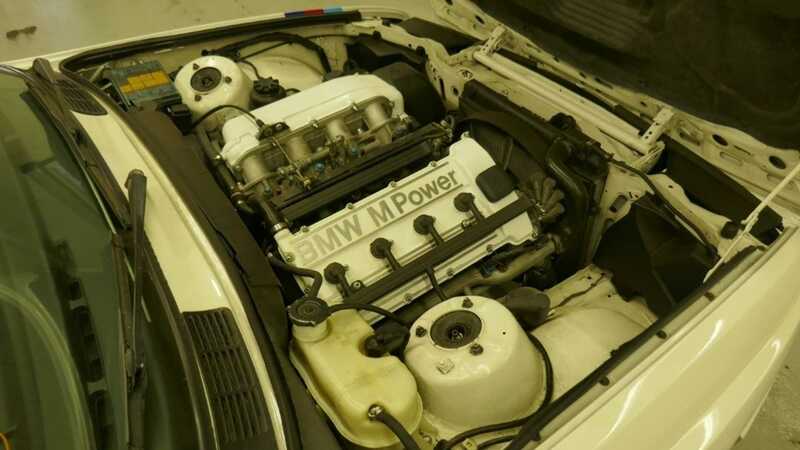 They took the engine from the M1 supercar but realized it was too bulky for the little E30 chassis, so lopped two cylinders off its bank and created the 2.3-liter inline-four cylinder engine, known by the rest of us as the S14. 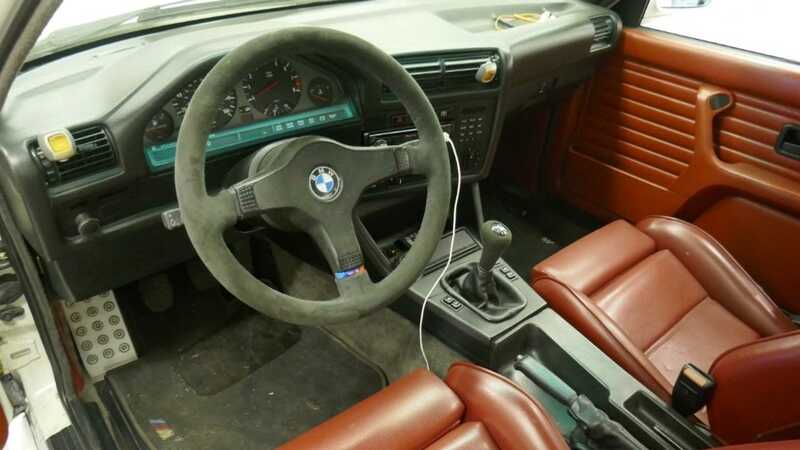 The Germans spent just two weeks getting a prototype ready, with a whole host of upgrades added for the production car such as brakes, suspension, and most of the bodywork to add in some gorgeous eighties style box style box flares we all know and love. The car absolutely dominated at the track, and it’s not hard to see why. 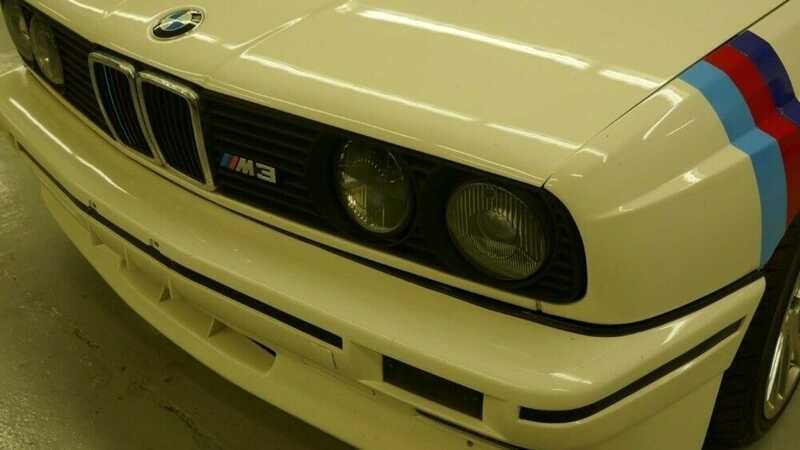 With a heritage spanning four decades, we owe many thanks to BMW for leading the segment for so long. 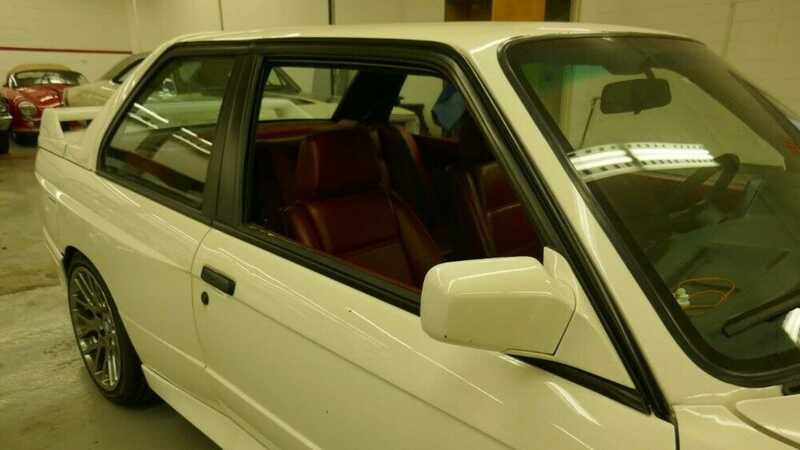 The example here is rather unusual in its alpine white paintwork, along with burgundy leather interior. 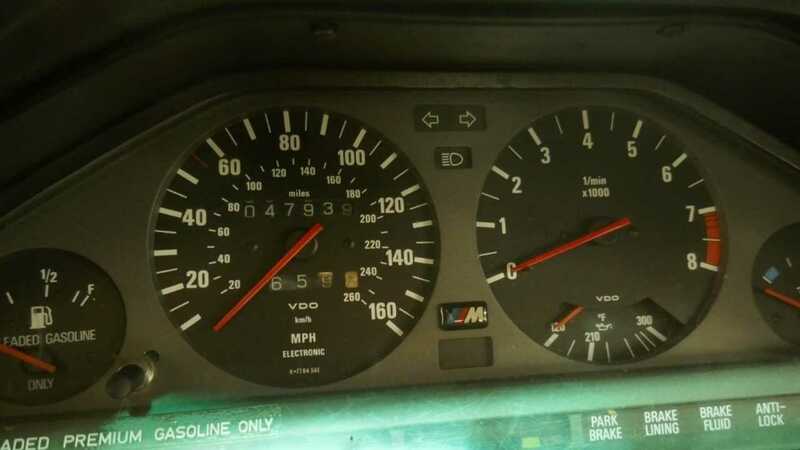 Details are scant, but with just 47,000 miles on the clock this is particularly low mileage for a car that frequently saw executive ownership back in the day. 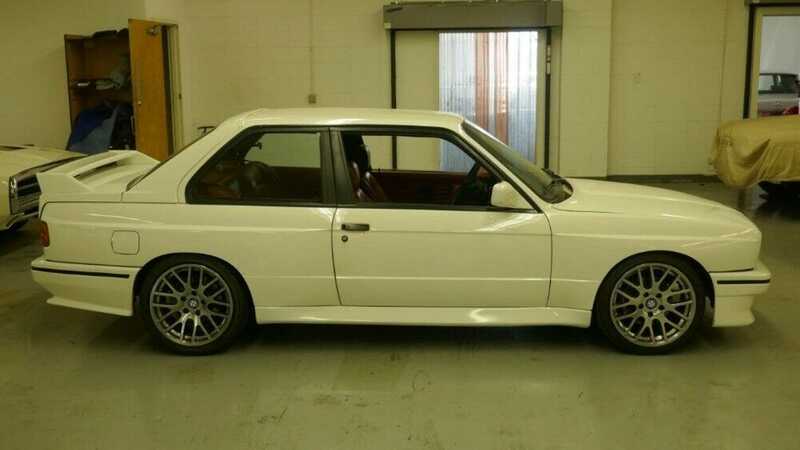 Aside from the aftermarket alloys that could never replace the iconic BBS originals, we reckon this is an opportunity not to be missed.